​​We are the fastest in the industry from CAD to tooling to production, and this includes the precision needed for your overmolding and rubber to metal bonded project. For example: we've made production tooling and shipped 10,000+ custom silicone parts in one week. We designed and programmed, cut steel into a 19" x 23" custom multi-cavity tool, and custom molded all in 7 days. Bonding rubber to metal is a process that adheres rubber to high temperature resistant materials. The bonding process is accomplished by insert molding that encapsulates the bonded rubber to various metal parts. Rubber Industries Inc. are experts in bonding rubber to metal. These molded parts are also used where product reinforcement is required. The insert molding process can produce a bond that is stronger than the rubber material. The bonds achieved by insert molding are stronger than glued parts. Insert molding is a very cost-effective process. Our rubber bonding adhesives bond rubber materials to each other and to metals. Our rubber bonding products will also adhere to: Neoprene, Nitrile, EPDM, SBR, and Silicone. Rubber Industries Inc. has quality experience working with customers to assess the process for molding of rubber to metal. We are experts at working with bonding rubber to all metals. At Rubber Industries we are experts in custom molded rubber to metal injection, transfer, compression and silicone overmolded parts. We make millions of overmolded parts each year, and now approaching our 50th year! 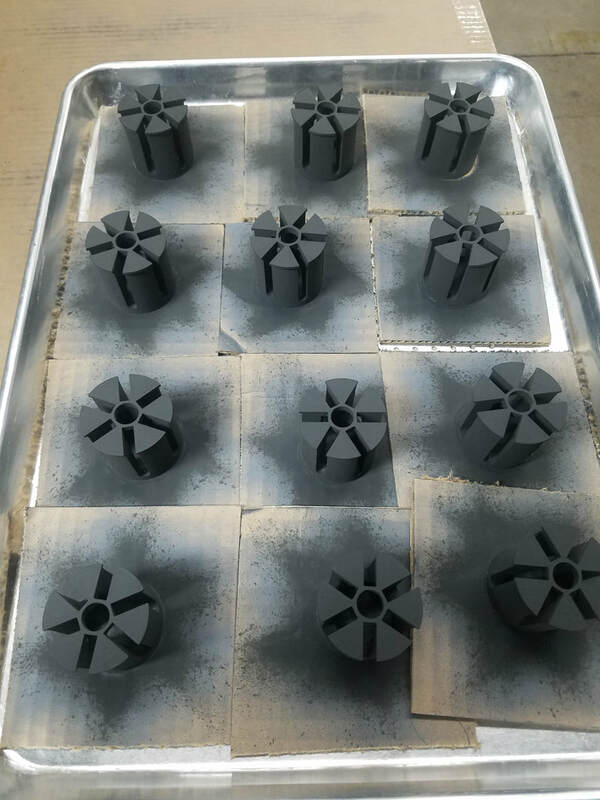 We have the expertise and equipment to custom mold your rubber to metal parts through a very thorough and repeatable process, the same process we use to make millions of rubber to metal bonded parts. It takes careful preparation of the materials (metal, plastic, polycarbonate for example) to reliably bond to custom formulated rubber that is designed to adhere to the substrate. ​Our process eliminates time consuming surface preparation that uses expensive materials. Our bonding formulations can be used in rubber bonding processes without surface preparation. Our bonding process is not only cost efficient, but it is also time saving. Chemical bonding involves heat-activated adhesive for bonding during vulcanization. This process is more complex and requires more time. ​ Surface preparation of the substrate metal is critical, including the measurement of the bonding layer of the rubber to metal bonded part. We offer the following on a large scale through our Chinese partners. rubber to metal bonding companies as a partnership providing you both on shore and off shore options for service and price. metal to rubber bonding to ensure the properties you specify can meet your demanding application. In Print and In Time! With our probing systems on our CNCs we are up and running in minutes so that you have your finished parts quickly. Rubber Industries Inc. is available at your service 24 x 7 x 365. With a five acre campus we're able to produce a prototype in one day or millions of items for your business in a period of months. Because we do everything in-house we're able to save you both time and money from initial idea to completion of the production of your project or projects. We've worked with thousands of customers and these include companies like Tesla Motors, Du Pont, GM, Toyota, Boston Dynamics, and many more. 50 Years Of Experience: Manufacturing in the United States since 1968 with five decades of experience in custom molded, silicone, and liquid silicone rubber (LSR), and custom tooling have given this great company the ability to create and present to customers the following parts: Seals, gaskets, diaphragms, bellows, o-rings and more. Our Chinese partnerships also allow us to create one of the fastest prototyping and production services on the market. In-House Mold Building: Everything we do is in-house and custom molded which allows us to lower our price of production, as well as the time it takes to produce. We use various elastomers, including natural rubber, ethylene propylene diene monomer (EPDM), nitrile (NBR), HNBR, neoprene (chloroprene), viton, FKM, and others, to ensure your product is up to standards. When we say everything is in-house we mean it, and includes the liquid injection, transfer, and compression molding. 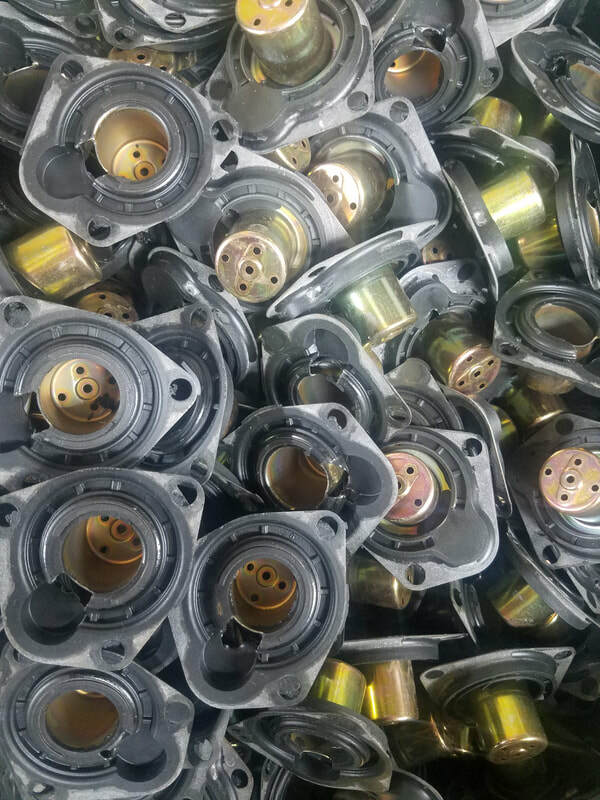 In-House Mold Designers: Whether you're looking for custom seals, gaskets, diaphragms, bellows, o-rings, or other custom-made parts, we can help. Our in-house designers can design your product from scratch and can design other products in the industrial, automotive, consumer, and medical industries to your specific measurements with our custom tooling. In-house Mixing of Custom Compounds: We create our own custom compounds so your custom molded part performs to the highest capability. This allows us to be able to do rubber to metal bonded, epdm to stainless bonded, silicone to metal bonded. Other companies require more steps and third party companies, but we can do everything at our facilities. In-house Chemists: In order to mix custom compounds a company must have chemists who can complete the process the right way. Our chemists are not only in-house, but they are some of the best in the world. The brands you trust daily trust Rubber Industries to manufacture their most critical parts, and they trust our team of engineers, chemist, and employees. In-house Engineering: As we mentioned previously, our in-house chemists take care of the chemicals needed to create different materials, but our engineers take care of the rest. By having a strong engineering team we prevent overmolded materials and ensure epdm to metal bonded systems run smoothly. Access to our team of chemists and engineers comes at no additional cost and are available 24 x 7 x 365 creating one of the fastest prototyping and production services in the industry. Liquid Injection Molding: We offer Liquid Injection Molding (LIM) services for any product you need. This process involves injection into a mold. The injection process can be used for prototyping as well as final production. This allows our chemists and engineers to experiment with both different materials and different measurements or product strengths. LIM is ideal for making different parts which will be subjected to what can be considered extreme temperatures. Liquid Silicone Rubber (LSR): There are two types of LIM and we offer both LSR and F-LSR which are injection molding of silicone, and injection molding of fluoro liquid silicone. LSR is the most common process used to produce common items, while F-LSR is used for more technical or high-performance items such as those to be used in super cars or aerospace. The brands you trust daily trust Rubber Industries to manufacture their most critical parts. Our fifty years of experience in the manufacturing industry give our customers peace of mind when they choose us to build their items using our injection processes. We are open twenty four hours a day, seven days of the week, three hundred and sixty five days of the year. You have access to and can rest assured that our in-house chemists and engineers will take care of your custom product from start to finish. 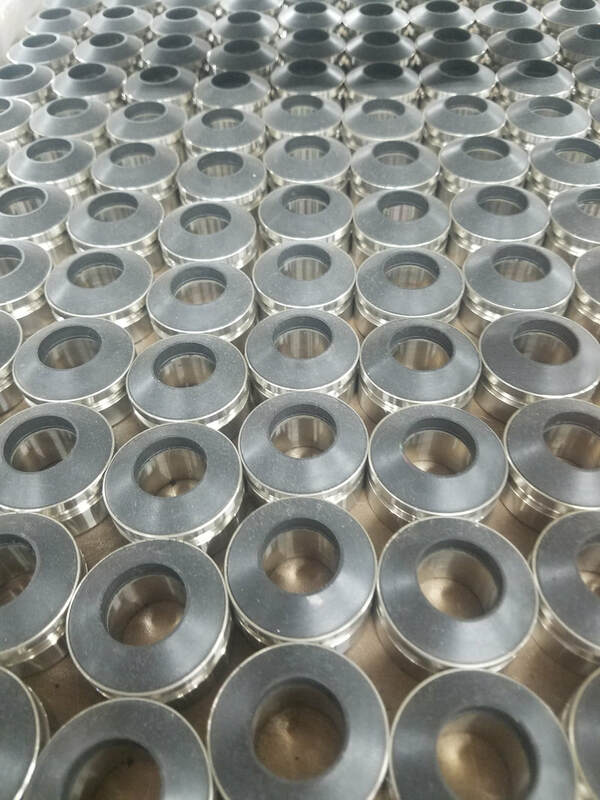 We have one of the fastest production processes in the industry and with our Chinese partners we can offer more than most manufacturing companies out there. 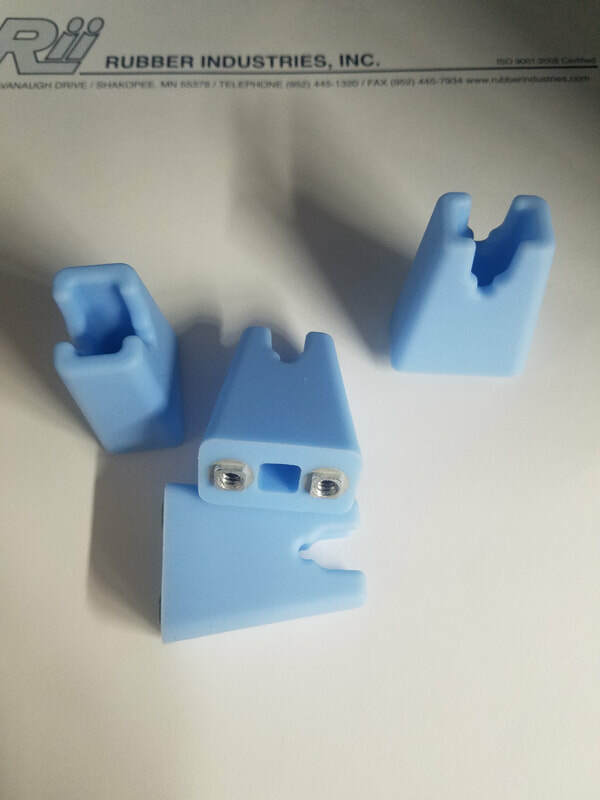 Rubber overmolding is a manufacturing approach that helps you create unique solutions to issues that may arise as you try to manufacture a new product or component. Using a custom overmolded approach allows you to combine two or three materials into a finished product that has one soft side and one more durable side for use in demanding applications where rubber alone may not be ideal. There are many durable and affordable products created with this approach. What Can You Create With Custom molded rubber to metal? How Does Overmolding Rubber to Metal Work? • Faster manufacturing time of the finished product. The molding process removes the need for components to be assembled after production, which not only helps the product to come together quickly, it also cuts down on production costs. If you're in a hurry to get your product to market, to fill backorders, or to present possible inventors with a prototype product, overmolding is the quickest way. • Longer lifespan. A rubber to metal bonded approach creates bonds that are difficult to break, even with heavy use. A product that is molded together will stay intact much longer than a product with two individual pieces combined using glue or traditional rubber parts. This makes it ideal for demanding applications where the component may be exposed to chemicals or wear and tear. • Variation of materials. Overmolding allows you to combine a softer material with a more solid one to make a portion of the finished product easier to grip and hold. Using a custom rubber overmolded approach to create cushions, pads, or diaphragms should be a simple process for you. When you partner with an experienced manufacturer who can guide you through each part of the process, from design to manufacturing, the entire process can be simple for you. 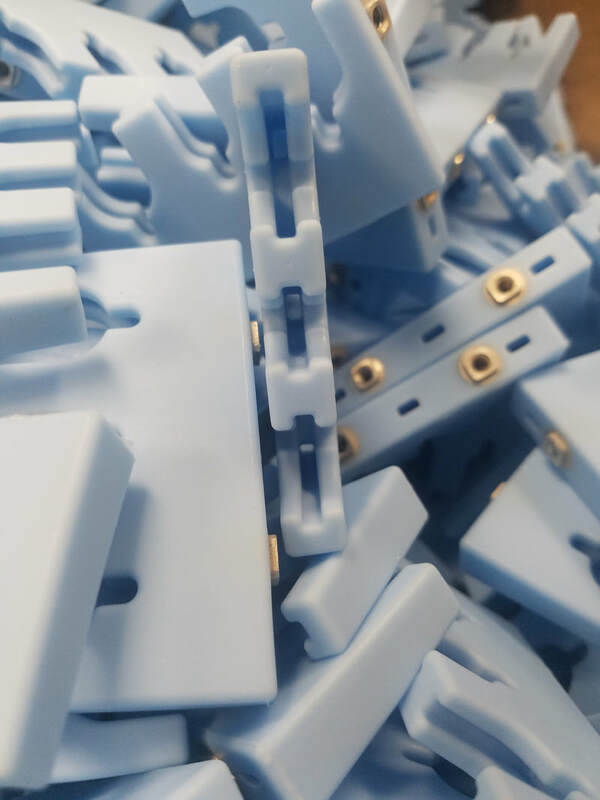 At Rubber Industries, we have the experience to take your concept from prototyping through to production at one of the fastest rates in the industry. Our team can offer advice on whether to use butyl, nitrile, epdm or another elastomer in the production of your parts. Once you have selected the materials and finalized the design, our production team takes over. Working around the clock in multiple locations, our workforce can create a high volume of perfectly shaped components that meet your needs. Creating an engineered solution that fits your needs and producing it as fast as possible, we make it easy for you to bring your concept to reality. 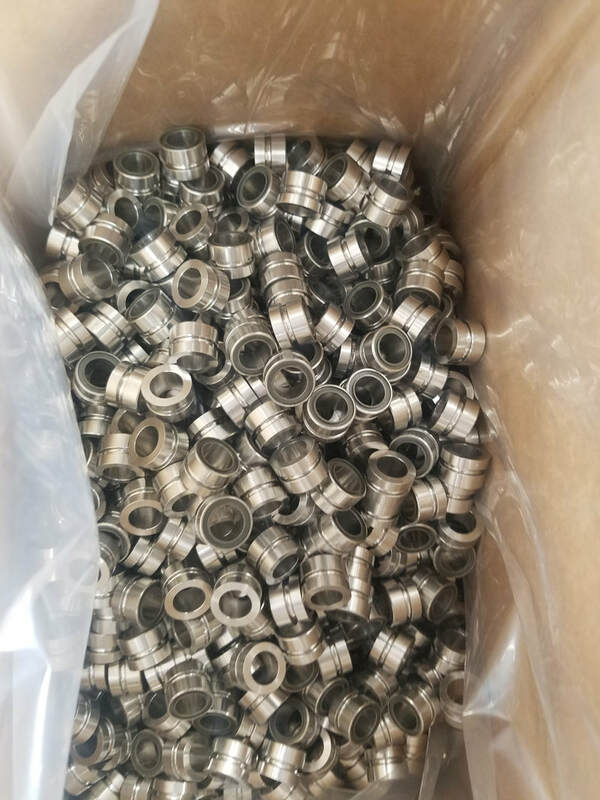 With multiple manufacturing facilities working around the clock, we can produce millions of o-rings, gaskets, bellows, grommets and other rubber parts that fit any part of your product. Our ability to deliver unique solutions through custom rubber overmolded tooling makes us a valuable partner for any business looking to speed up production while keeping it affordable.